This is the customers area. You'll automatically receive your username & password after your purchase. Buy now... 99 £ Free unlimited postcode updates included! Buy now... 199 £ Free unlimited postcode updates included! Postcode data does change from time to time. 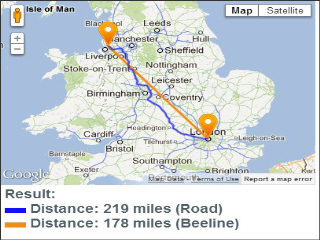 Buy your postcode database at ZIPCodeSoft and we will keep your postcode data up-to-date. Just pay a one-off price! No further costs! 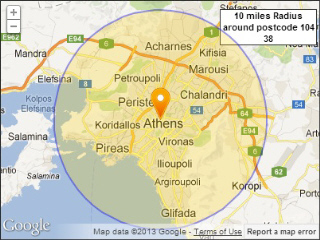 The Greece postcode database contains all Greek postcodes plus city and regions plus latitude/longitude. All database entries are both in Greek and in English transliteration. Easy to import into all major Database Systems. Having a database of localities with their latitudes and longitudes enables you to locate the closest cities to a set point (or within a radius of X). To achieve the highest accuracy the formulas in our example scripts take the earth's curvature into consideration. Please check the top left column of this page to see examples of what our scripts are capable of.